The British Motorcyclists Federation (BMF) has added its voice to calls from motorcycling organisations for London’s new Mayor, Boris Johnson, to deliver on his pre-election promise to allow motorcycles to use bus lanes in the capital. Chris Hodder, the BMF’s government relations executive, congratulated Boris Johnson on his victory, noting that a Transport for London trial allowing motorcycles to use bus lanes, had improved safety for all road users. Chris Hodder said the BMF would be looking to establish a close working relationship with Boris Johnson’s administration, in a bid to increase the number of motorcycle parking bays available in London. 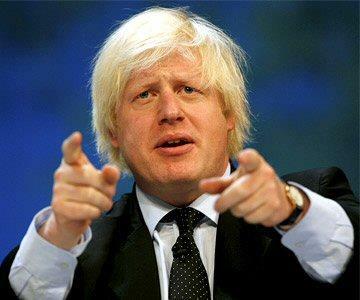 The BMF’s calls for Boris Johnson to deliver echo the views of the Motorcycle Action Group (MAG), and Motorcycle Industry Association (MIA), which have both welcomed Boris Johnson’s election, but noted that he must follow-through on his promise regarding bus lanes.